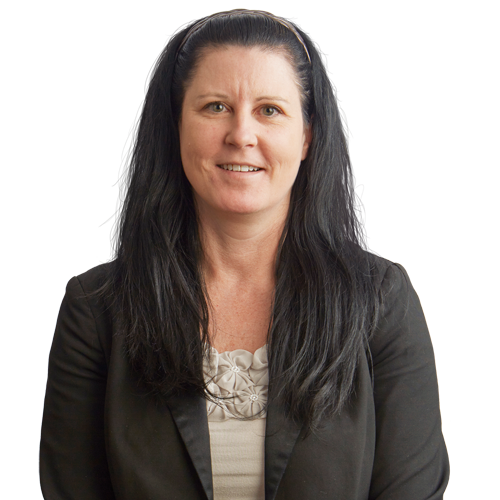 Amy Roy is a commercial litigator who focuses her practice on food liability and product liability matters. She represents manufacturers in the defense of product liability claims and in state and federal courts in national, regional, and local counsel roles. In addition, Amy represents public and private corporations, partnerships, and individuals in federal and state courts in a variety of matters, including contract and employment disputes, regulatory compliance, pharmaceutical defense, environmental claims, and litigation arising out of complex commercial transactions. She coordinates the defense of national mass tort litigation involving pharmaceutical products, including the preparation of discovery responses for thousands of cases pending in federal multidistrict litigation courts and state courts. She is skillful in drafting motions to dismiss and complex briefs and conducting extensive discovery, including fact investigations and interviews. She also represents clients in alternative dispute resolution, including arbitration proceedings before American Arbitration Association and JAMS panels and private and court-directed mediation. Amy has represented a global food manufacturer in dozens of class actions, including a multi-year complex commercial litigation matter involving a nationwide class action alleging violation of consumer protection laws. Represented client served with civil investigative demand from the Department of Justice regarding the investigation of three of the major tuna canneries for collusion. Throughout the investigation, Amy was involved in extensive negotiations with the DOJ, grand jury subpoenas, and antitrust class actions across the country. In connection with an environmental class action involving claims of nuisance and trespass, Amy drafted motions to dismiss, wrote complex briefs, and conducted extensive discovery, fact investigation, and interviews. Represents pharmaceutical manufacturers in product liability and class action litigation in state and federal courts in national, regional, and local counsel roles. Represents public and private corporations, partnerships, and individuals in federal and state courts in wide variety of matters including contract and employment disputes, OSHA compliance, pharmaceutical defense, and litigation arising out of complex commercial transactions. Coordinates the defense of national mass tort litigation involving pharmaceutical products, including the preparation of discovery responses for thousands of cases pending in federal multidistrict litigation courts and state courts. Represents clients in alternative dispute resolution such as arbitration proceedings before American Arbitration Association and JAMS panels and private and court-directed mediation. Chaired three-day arbitration over breach of a stock purchase agreement of a school. Represents a variety of manufacturers and sellers in defense of product liability claims involving pharmaceutical, automobile, and large transportation companies. Represents clients in breach of warranty and consumer protection cases involving industrial and consumer products. Represented nationwide financial institutions and servicers in lender liability and contested foreclosures. “Resume: A newsmaker you should know/Hardship story ignited lawyer Amy Roy’s giving spirit,” Pittsburgh Post-Gazette, September 4, 2015. Amy is the founder of nonprofit Neighbors for Neighbors, which helps families in need throughout the greater Pittsburgh area. One of the ways the organization helps local families is by providing Christmas and birthday gifts for children in the subsidized school lunch program. Amy received the 2015 Service Above Self award from the Cranberry Township Noon Rotary Club in recognition of her work in the community. In addition to her work in the community, Amy also enjoys running, cycling, and cooking.